An elegant tree growing at the Belfast City Hospital and Queen’s University campus, which is a direct descendant of the ‘Plane tree of Kos’ – a famous oriental plane tree under which Hippocrates, the Father of Modern Medicine, first taught on the island of Kos in 500 BC – has made it to the final of the Woodland Trust’s Northern Ireland ‘Tree of the Year’ competition. The Erskine House tree was planted from seeds gifted by Greek physician, Dr Dimitrios Oreopoulos in the late 1960s, who was undertaking an MD in kidney research at Queen’s University and working at the renal unit at Belfast City Hospital. After completing his studies, Dr Oreopoulos moved with his family to Canada, where he later became Professor of Medicine at the University of Toronto. He made many contributions to the treatment of renal disease, as well as the promotion of medical ethics and humanitarian principles. He also went on to develop ambulatory Peritoneal Dialysis, a type of dialysis which is now used throughout the world. 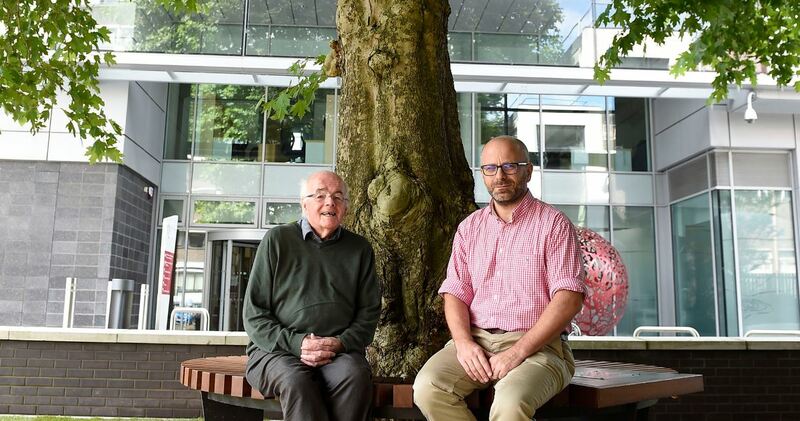 The tree was nominated for ‘Tree of the Year’ by Dr Gerard Gormley, Clinical Senior Lecturer and Professor Peter Maxwell, Clinical Professor from the School of Medicine, Dentistry and Biomedical Sciences at Queen’s, and Dr James Douglas, former Nephrologist at Belfast City Hospital. One of several trees planted at the time by the seeds gifted by Dr Oreopoulos, the Erskine House tree is the only tree that has survived. In order to preserve and also celebrate the tree, a new circular bench and plaque in memory of Dr Oreopoulos, have been installed so the area can now be enjoyed by staff, students and patients. 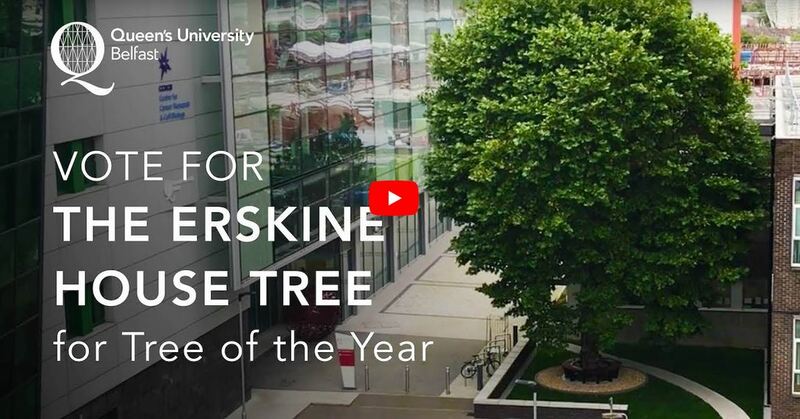 Go to the Woodland Trust’s ‘Tree of the Year’ to vote for the Erskine House tree in the competition, or click on the link below. To vote you must be over 18 years old and have an address in the UK. Voting is open from Monday 11 September and will close on Sunday 8 October, 2017. The winners of the regional heats will take part in the UK national final, which will be televised on Channel 4 when members of the viewing public will have the chance to vote for their favourite tree. Media inquiries to Zara McBrearty at Queen's University Belfast on tel: +44 (0)28 9097 3259. Pictured (L-R) at the Erskine House tree at Belfast City Hospital and Queen’s University Belfast are Dr James Douglas, former Nephrologist at Belfast City Hospital and Dr Gerard Gormley, from the School of Medicine, Dentistry and Biomedical Sciences at the University.